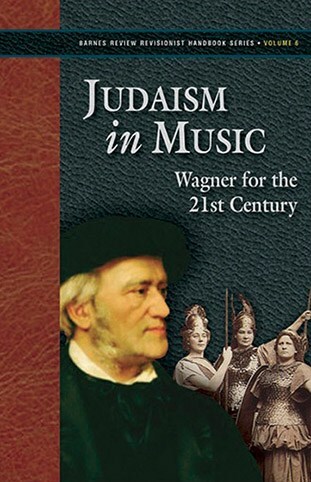 Published pseudonymously in 1850 in the influential journal Neue Zeitschrift für Musik, “Judaism in Music” is both the most-often cited and least-often read of Richard Wagner’s voluminous prose works. Although commonly described as a vile work of hate speech or as a model for the breathless prose style of Der Stürmer, Wagner’s essay is actually rather mild and extremely clinical in its assessment of the mostly deleterious influence of Jews in German culture. The mildness of the essay is only apparent to those who have actually read the work, very few of whom are numbered among Wagner’s detractors. First of all, Wagner’s solution to the Jewish question is for Jews to stop being Jews, that is, to convert to Christianity. This is hardly the stuff of genocide. Wagner reveals himself to be the greatest civic nationalist of the 19th century. For Wagner, the Jewish question is confessional, not genetic, in origin. And what really is Wagner’s problem with the Jews? It is, quite simply, that the Jews have not truly assimilated into German culture. Wagner acknowledges the talented nature of many Jewish intellectuals and musicians, but likewise points out that their talents are imitative, rather than creative, in nature. As such, Jews have been able to insinuate themselves into German society without truly becoming part of German culture. As Kevin MacDonald has so often reminded us, the Jews always remain a people apart. According to Wagner, the inability of Jews to truly assimilate into German culture is rooted in language, which in turn, has a profound impact on Jewish aesthetics. Wagner rightly remarks upon the discordant sounds of the language of the Jews. Here he is referring to Yiddish, the common tongue of East European Jews, which is a pidgin form of German. German is a beautiful language when spoken correctly and an even more beautiful language when sung well. I doubt that even the most fervent Zionist believes that Yiddish possesses sonic beauty. The tonal ugliness of Yiddish, then, has an impact upon Jewish aesthetic sensibilities. Jews, therefore, have different standards of aesthetic beauty than do Caucasians of European descent. Of course, Wagner sees this as being rooted in cultural conditioning rather than being part of Jewish genetic proclivities. Unwittingly, Wagner has stumbled onto something that has been substantiated by genetic research. Aesthetic standards are not universal; they vary by race. The old adage that music is a universal language has no more validity than the Lockean tabula rasa. It should not be surprising, then, that Jews are at the forefront of every artistic movement that subverts Western standards of aesthetics. Wagner also touches upon Jewish economic and political solidarity, and implies that criticism of the Jews is taboo since wealthy Jews control the finances of most European nations. Substitute Zuckerberg and Soros for Rothschild and you have an essay that is as relevant today as it was in 1850. “Judaism in Music” is available for free downloading on the IMSLP website  as part of Volume III of William Ashton Ellis’ outstanding 1895 translation of the 8-volume Richard Wagner’s Prose Works. An affordable paperback edition (which also includes several introductory essays as well as Wagner’s 1869 article “Some Explanations Concerning ‘Judaism in Music’” and Mark Twain’s article “At the Shrine of St. Wagner”) is available as Volume 6 of the Barnes Review Revisionist Handbook Series (Judaism in Music: Wagner for the 21st Century).